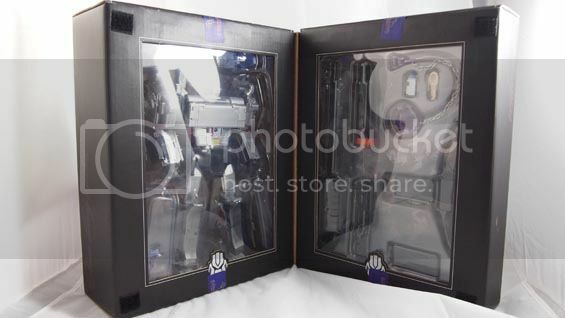 Awesome to finally get a large-scale update of the legendary Transformers Decepticon leader, Megatron! Check out this review to get some tips and advice on how to make this incredible figure even more incredible with a few quick, easy paint apps and how to arrange the tank treads on his back for a better-looking figure to pose on your shelf. Thanks for the tips on the treads, I'll look into it on my own figure. While I think that this figure is a great G1 update, I think that they went a little too G1 in the articulation. 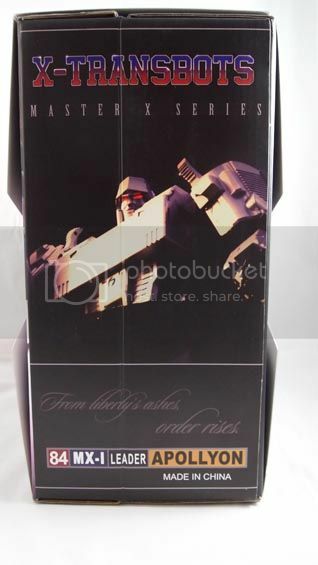 By which I mean that the poseability of Megatron is pretty limited. The arms are OK, but the legs... The poor guy barely has any knee movement. Great review! 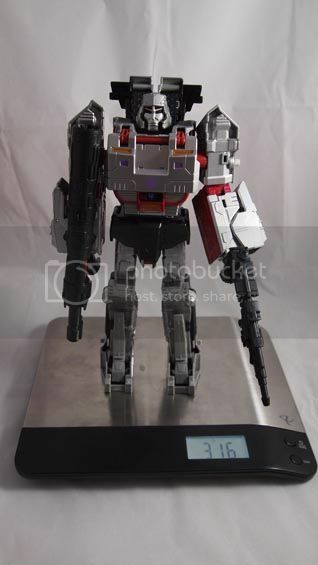 Really enjoyed your insight on this impressive iteration of G1 Megatron. 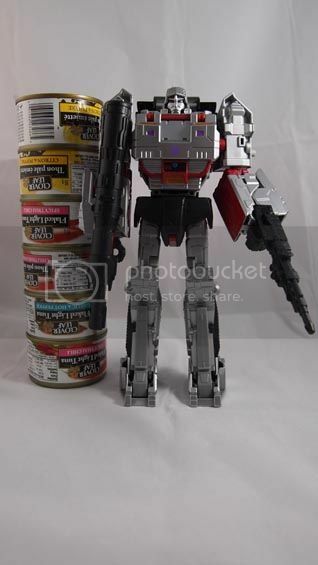 First off, the all ubiquitous Tuna Standard states Megatron at a bit over six cans of tuna high and coming in at a 316 grams (Leader class Jetfire is 295 grams). Which is pretty decent. I really like the tank mode and I mean really like. 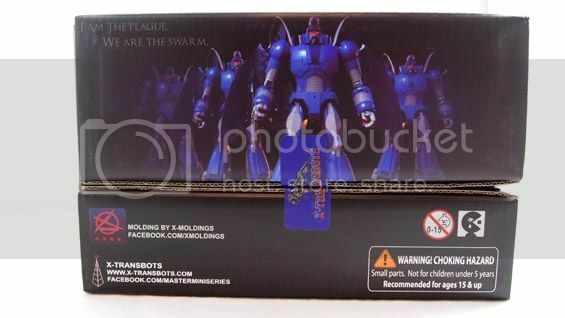 So much so, that I will pick-up a Armada Megatron and keep him in tank mode if I ever catch him on sale. 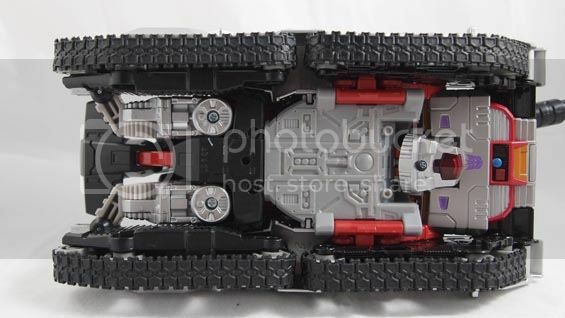 Now we have to make a comparison to X-Transbots Apollyon. 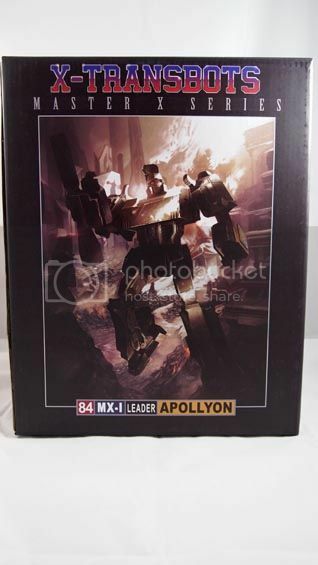 While Apollyon has super awesome packaging compared to Hasbro G1 Megatron (and I suspect the majority of the cost of Apollyon was the packaging), I like G1 Megatron for what he is, a well-designed (not perfect) and fun to play with toy. 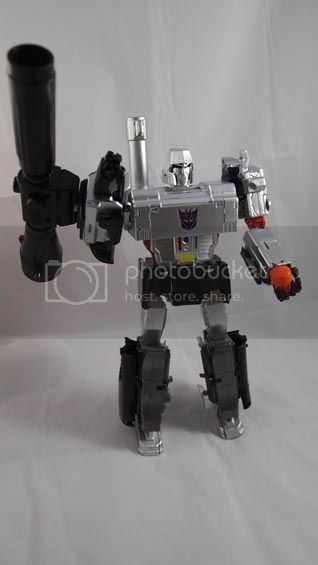 While I like Apollyon and I have not encountered some of the problems others have with him, I seem to like playing with Hasbro Megatron a lot more. 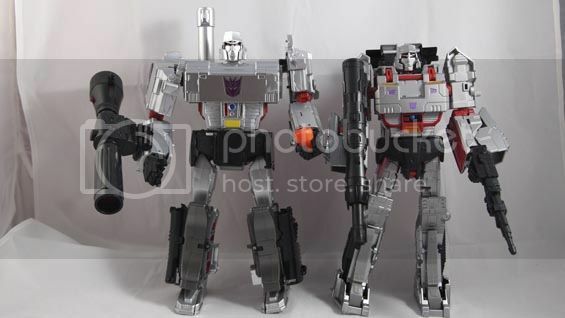 And between the both of them, I like the head sculpt more on G1 Megatron and the additional third party enhancements will make a good Megatron into a great one. 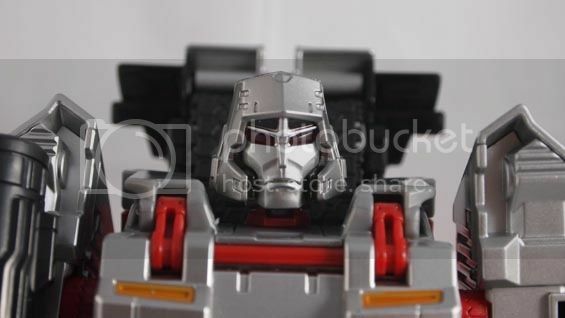 As an aside for those that have G1 Megatron, did you apply his tribal tattoos to his chest? Where's Prime? These orange safety tips are for pussybots. Prime can put one of these on his ion blaster. Last edited by Longshot; 05-24-2015 at 06:22 PM.